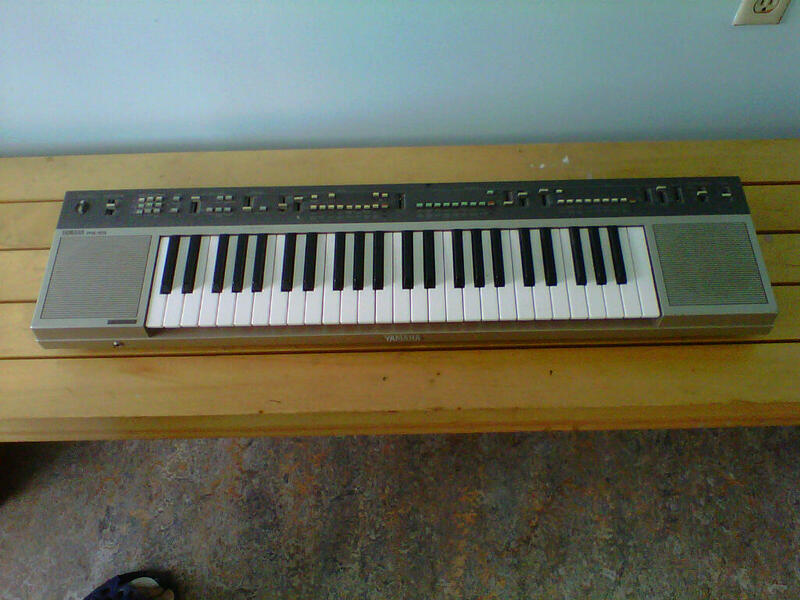 I found one of these PS-55 Yamaha keyboards with a stand in my garage clear out but do not have the electrical cord for it or the headphones. do you know where I can find these? My parents bought me a PS55 in 1984, when I was 10 years old ! Today, I often play with it and take some good moments. Now my daugther started to play some notes with. Your description is very good and i ‘m happy that you enjoyed it. I love the analog era of toy keyboards. I find they really come alive with some analog (or just analog-style) effects. Things like phaser pedals, analog delays, filters. The Kaoss Pad Mini has been a really nice companion to my Casio VL-1. I’d recommend trying one of those with the PS-55 for some pretty spacey analog synth sounds. Keep making those music store scores! All of Japan is basically a recycle shop goldmine! maa quanto costa una tastiera yamaha ps 55?? Hi. Can anyone tell me if the ps-55 has keys with sensitive touch?